Our 5 yr old son, Carson, has been on his magic diet since August 31, 2009.
diet, we were seizure free and that lasted almost 9 months, then we lost it. 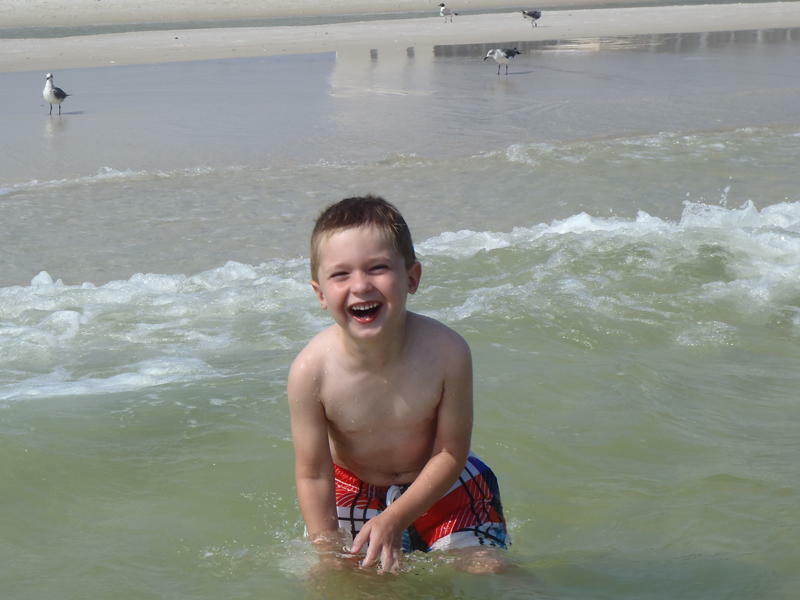 happy hero enjoying the beach on our summer vacation this year. Coming up by the end of September, I want to gather Halloween recipes and alternative ideas to dealing with the sugar filled tradition. If you have a recipe or idea on how to deal with trick-or-treating while on keto, please e-mail me. I would like to feature a wide variety of options. Love that little guy Dawn! So great to see his smiling face on vacation! Keep up the good work little man you are amazing so many people are so proud of you! Way to go Carson!